Bob is a 7th generation Cape Cod native. After almost 10 years in Seattle, Washington he moved back to the Cape in 2000 and has been working at Eastward Companies ever since. Bob’s main focus is plaster to finish. Bob facilitates the measuring, detailing and oversees construction and installation of kitchens, vanities and built-ins. 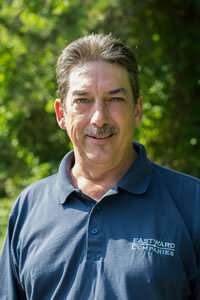 Bob also oversees selection and installation of flooring, millwork, tile, counters, lighting, plumbing, hardware, etc. 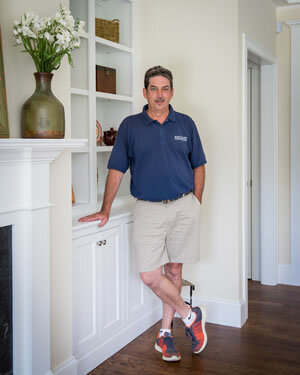 Bob’s responsibilities start with rough mechanicals to ensure electrical and plumbing layout matches cabinetry and millwork design, whether for a model home or a custom home. He has a keen eye for details in design that incorporates traditional style for modern living. Bob enjoys working with customers, guiding them through the selection process, and seeing their designs and ideas come to fruition. When he has spare time, Bob enjoys golfing, fishing, gardening and kayaking.